Browse our finger food catering Melbourne menu below and choose a selection of delectable gourmet options for your next event. Using only the freshest ingredients, Yum Catering takes pride in creating mouth watering bites that are perfect for a cocktail party, wedding or engagement party, corporate event, birthday party, private function, or any other event you have in mind. We will assist you in designing a custom finger food menu that works with your budget and any special dietary requirements your guests may have. You will love our beautiful presentation, delicious flavours and generous portions. 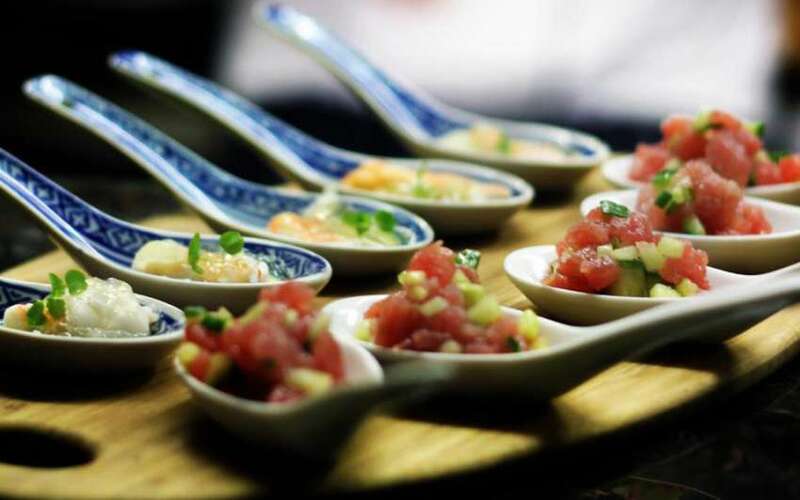 Our finger food catering Melbourne menu takes its inspiration from the far reaches of the world, encompassing a variety of both modern Australian and international cuisine options. If you don’t see your favourite finger food option on this extensive menu, then by all means get in touch and we will include it in your customised menu. We are only too happy to assist you with designing the best finger food menu for your next event so get in touch to discuss your needs. “Hello Paul the Wonder Caterer! I just wanted to say a HUGE THANK YOU for your amazing efforts at the wedding. Everyone was raving about the food, even my fussiest food friend! I barely ate, unfortunately, as I was caught up in my wedding/champagne bubble. But you’ll of course be our go-to guy for all things functions. It was so lovely to have you as part of our day, and not just because of the food. You have been completely delightful to deal with in every way. Please see our themed menus which can be created in smaller serves! Or speak to us about our different options! We pride ourselves on using local, sustainable and seasonal produce so depending on the time of year please ask for our special menus on offer. Prices exclude GST and will be added to the final invoice. Extra costs for staff and equipment if required to serve. Canape packages and beverage packages available upon request. 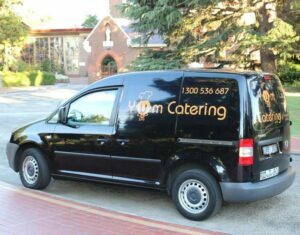 Contact us to discuss your finger food catering Melbourne needs and we’ll assist you in designing the perfect menu for your next event.